Scenic Cruises has developed into one of the most beloved cruise companies in the world. Set sail on a getaway with Scenic Cruises and expect only the best in extravagant on-board amenities, a favoring service staff, and a truly extraordinary fleet. 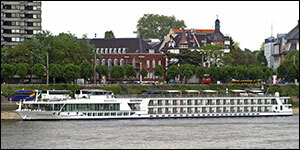 Red Hot Cruises contains a huge assortment of cruises with Scenic Cruises at fantastic prices. Here, you can browse all destinations, departures and ships available with Scenic Cruises. Space is usually limited, so purchase online with us as soon as possible to lock in your cruise with Scenic Cruises before waiting too long. Give us a call at (844)235-4177 or email us to speak with a vacation pro and we will help you find what you’re looking for.